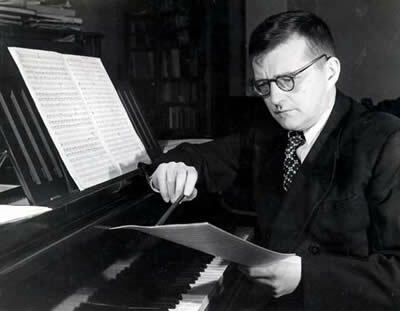 Resources on Shostakovich in Russian and English. Leading scholars of Russian music will speak on Shostakovich and the string quartets performed by the Pacifica Quartet throughout the Krannert Center season. A keynote address will be given by Richard Taruskin (University of California, Berkeley) at Krannert Center prior to the Pacifica Quartet performance on February 22. The conference program and more information can be found here. See the program poster. Pacifica Quartet members discuss Shostakovich in these videos. This conference and the allied events are made possible by generous support from the following University of Illinois units: the College of Liberal Arts and Sciences; the Illinois Program for Research in the Humanities; the School of Literatures, Cultures, and Linguistics; Krannert Center for the Performing Arts; the Russian, East European and Eurasian Center; the Department of Slavic Languages and Literatures; the European Union Center; the Department of German Languages and Literatures; the Program on Jewish Culture and Society; the Program in Comparative and World Literature; and the School of Music. This guide is intended to supply some general bibliographic information along with some interesting documentation from Shostakovich's life. It is no way intended to be a comprehensive guide to the materials published about the composer. It will provide the user with some direction for further research.